– Has he ever visited his village? – where -are his father, mother, siblings? Today, (25.01), Edgar Lungu, after two elections, in 2015 and 2016, marks the third anniversary as President at 61 years, two months and one week. In his 2015 inauguration speech, EL opened with a disclosure he was born at Ndola Central Hospital (NCH) in 1956. As regards family, he talked of his wife and grandchildren, named one grandchild. There was nothing beyond that from EL himself for profilers and biographers about EL the humble person climbing the high office of president of Zambia. Instead, since 2015, PF and EL have projected and hidden a self-acclaimed humble leader EL with or behind titles of Patriotic Front (PF) Party President, His Excellency President of Zambia and Commander-in-Chief of All Armed Forces as opposed to the humble EL as a person. Otherwise, who is EL, of 56 years before the presidency? For example, we know of HH, Kabimba, Mulongoti etc by parents, villages and chiefs as opposed to positions, ranks, associations and organisations, like EL. 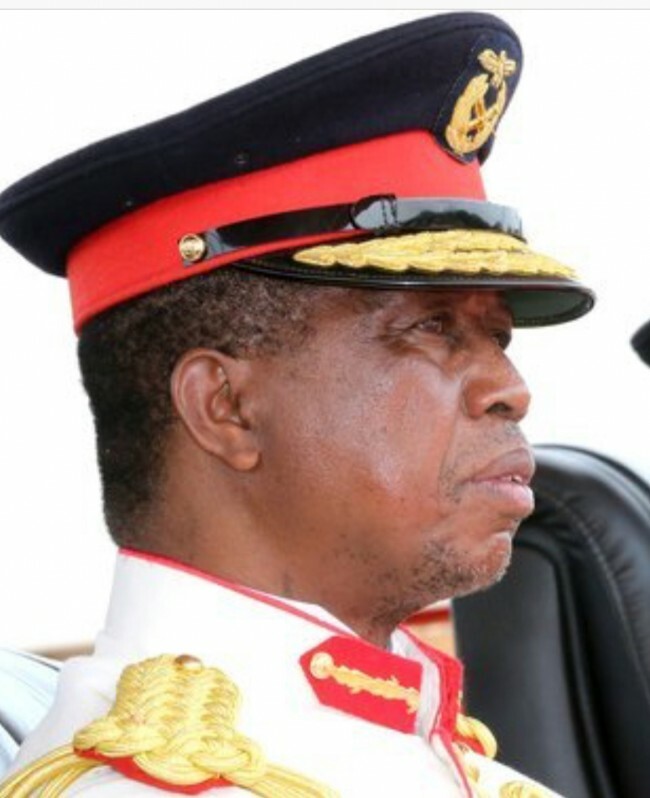 Another example, “Against all odds – Zambia’s President Edgar Chagwa Lungu’s rough journey to State House” (2017) by Anthony Mukwita, one of EL’s serving ambassadors; is primarily about the power struggle or odds of EL assuming the Office of President of PF and President of Zambia more than the humble EL as a person. Another, “The Conspiracy” (2016) by Rev Gilbert M. Mwamba adds to the above EL personality cult and EL entitlement of remaining incumbent president despite the opposition “conspiracy” of a marginal presidential election victory of 2016. Another, “First Lady unwraps her memorable journey – Tells story of how she met Edgar Lungu, why she has enrolled at UNZA”, (24.01.18, Zambia Daily Mail, page 8) is sketchy, guarded and wraps despite promotions. There are omissions of Esther Lungu herself as a person, their wedding to him or its date or event or life before being first lady or Esther Lungu Foundation Trust for someone who desires to work for the wretched or poor of the nation. She is candid enough though to relate the first encounter with him when she rejected EL both as a lawyer at Legal Aid Board and later as a suitor. Unfortunately, the Mail story is tense that she also mentions state security as in other EL and Mrs EL earlier profiles. So, why is the first lady also guarded from telling her story and that of her husband EL and why is state security protecting the person of president EL from telling the story of the humble person EL? In short, why is EL only President EL and not person EL? People’s Party (PP) President Mike Mulongoti, an in-law of EL, by his first marriage to his cousin Dorothy Machanda, the mother of Tasila Lungu, now resident in the USA, has said EL is ruthless to Zambians as coverup of not being Zambian but a Malawian alien and identity fraudster. Mulongoti, born in 1951, in Loti village, Lufwanyama, Chief Lumpuma, in then Ndola rural, has also argued that EL could not have been born at NCH which was for whites only in 1956. Otherwise, Ministry of Education textbooks record the Federation of Rhodesia and Nyasaland from 1953 to 1963 which even separated the departments of health for blacks and whites. Similarly, Apartheid, or Group Areas Act, in SA was born in 1950. African National Congress (as NRC) was born in 1948 to oppose the Federation. Secondly, EL could not have been born at NCH because of his social class of being a child of general worker and a marketeer. Thirdly, Mulongoti has challenged that if EL was born at NCH, then his birth should have documentation of a birth certificate, EL could bring out. Ironically, there has been no response or details from EL and EL extended family except threats from PF cadres and the Office of The President by people either younger than EL himself and others younger than EL’s children. There are also claims of former classmates and former workmates of EL and not EL of them but not any family member, younger or older, as happened with FJT, RB among others. LPM had his mother at his inauguration in 2002. He said his father’s grave was in Chisamba. Not EL’s. EL’s personal difference with Dr Scott was that Scott sent intelligence to procedurally verify EL’s roots as EL actually also did of Scott. EL even visited a wrong school as HH’s school in order to criticize HH but not his own village. HH’s mother’s was trailed by EL’s intelligence when HH was detained for 127 days for alleged treason. It was then that a frustrated Mulongoti said EL was not Zambian but Malawian. EL has since failed to directly and openly reply or deny. He, instead, evicted a family at House 4001, Chimwemwe, Kitwe, than visit his home village, to rewrite his history. Interestingly, Mukwita’s book, among other wrongs, has a wrong photograph of prized House 4001 where EL was allegedly raised. Mukwita’s attempted coverups essentially uncover EL. For example, Mukwita’s book says EL’s parents were from Petauke in Eastern Province on the border with Malawi when Petauke is 180 kilometres inland and that is after two towns of Katete and Chipata. Today, EL is celebrated as President primarily from Chawama without Kabwata, Mtendere and Kabushi in Ndola and other places he has lived. That is because he is only a president, since 2015 and not a person, since 1956. EL has strategically put the spotlight either on the presidency or on his opponents, who are ever on defense.